Roundtable • The discussion, sponsored by Hatch, focuses on ways to prevent tragedies, treat the survivors. 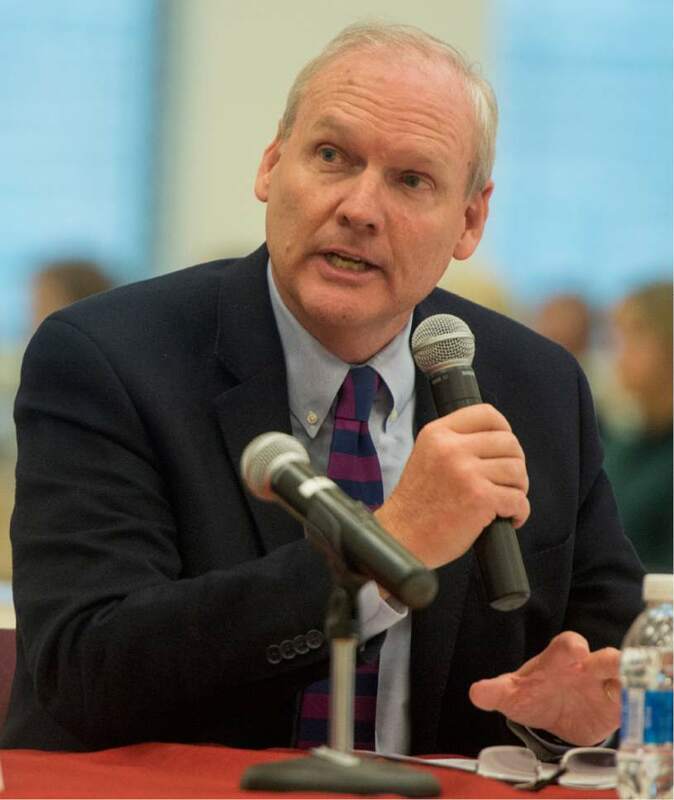 Rick Egan | The Salt Lake Tribune Utah State Rep. Daniel Thatcher makes a comment during a panel discussion on the prevention and treatment of teen suicide, at East High, Friday, December 16, 2016. 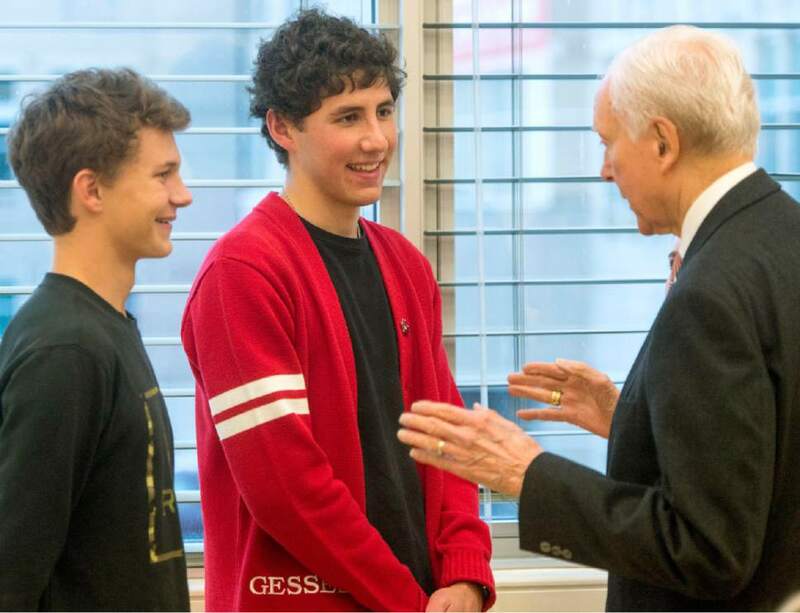 Rick Egan | The Salt Lake Tribune East High students, David Gochnour, and Mathew Gessel visit with Senator Orrin Hatch, after a panel discussion on the prevention and treatment of teen suicide, at East High, Friday, December 16, 2016. Rick Egan | The Salt Lake Tribune Raina Jones, Weber School District School Psychologist asks a question of the panel, during a roundtable on teen suicide at East High, Friday, December 16, 2016. 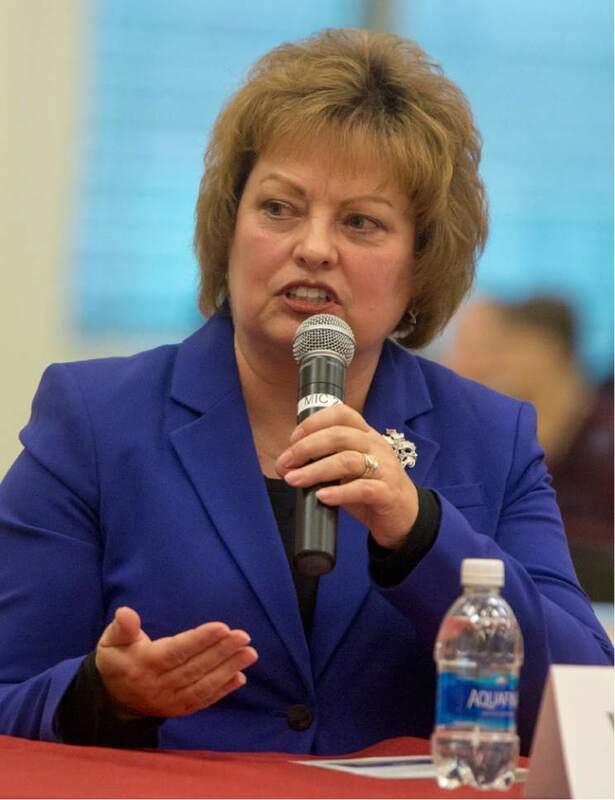 Rick Egan | The Salt Lake Tribune Wendy Nelson, Principal of Syracuse High, says a few words, during a panel discussion on the prevention and treatment of teen suicide, at East High, Friday, December 16, 2016. 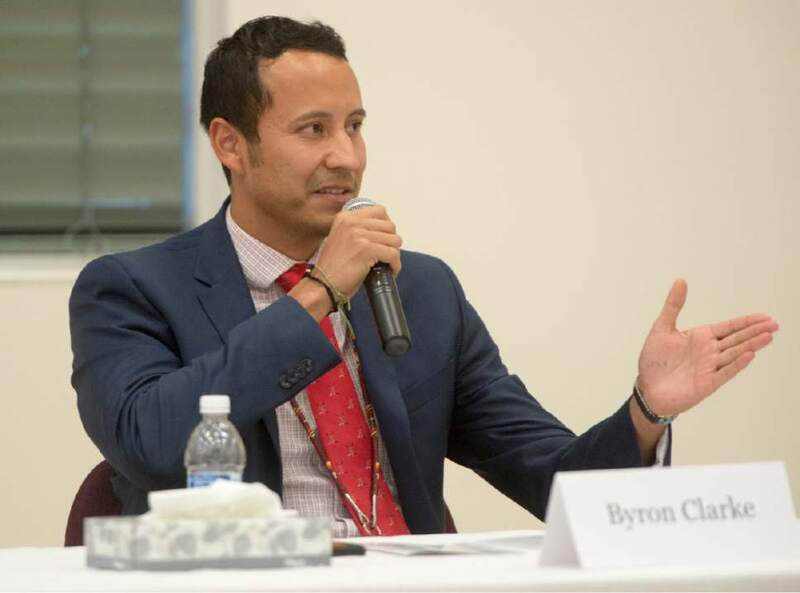 Rick Egan | The Salt Lake Tribune Byron Clarke says a few words, during a panel discussion on the prevention and treatment of teen suicide, at East High, Friday, December 16, 2016. 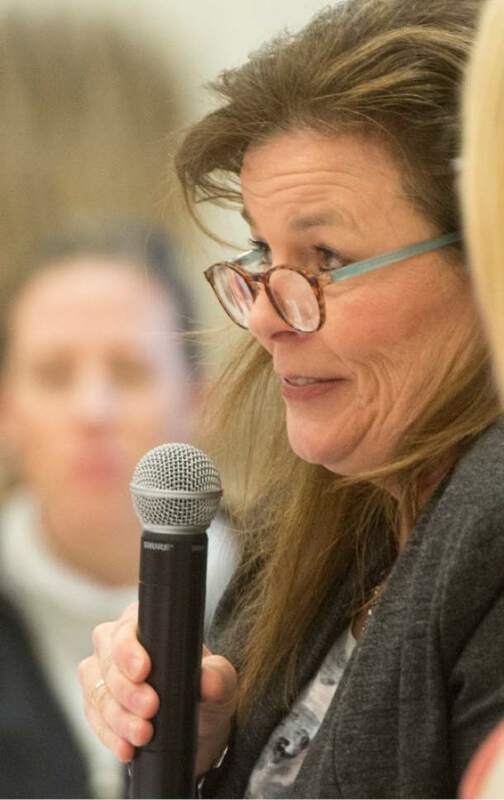 Rick Egan | The Salt Lake Tribune Cathy Davis Suicide Prevention coordinator, for the State Education Office, says a few words, during a panel discussion on the prevention and treatment of teen suicide, at East High, Friday, December 16, 2016. 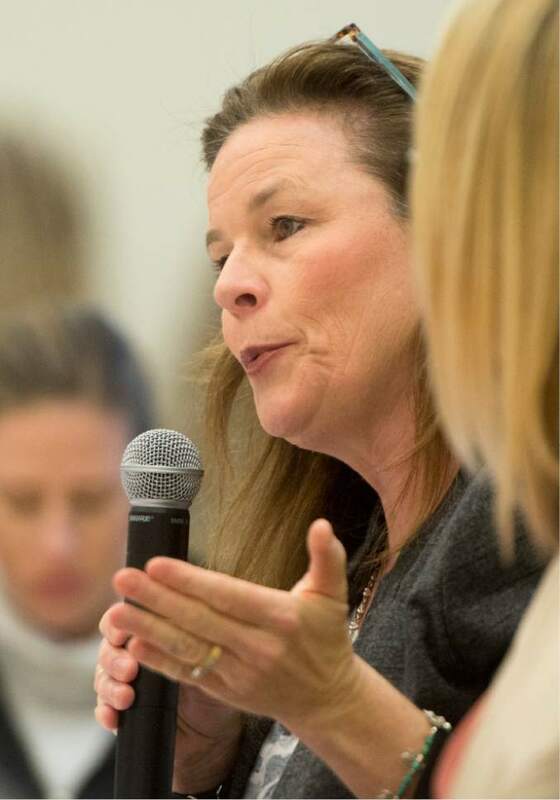 Rick Egan | The Salt Lake Tribune Cathy Davis Suicide Prevention coordinator, for the State Education Office, says a few words, during a panel discussion on the prevention and treatment of teen suicide, at East High, Friday, December 16, 2016. 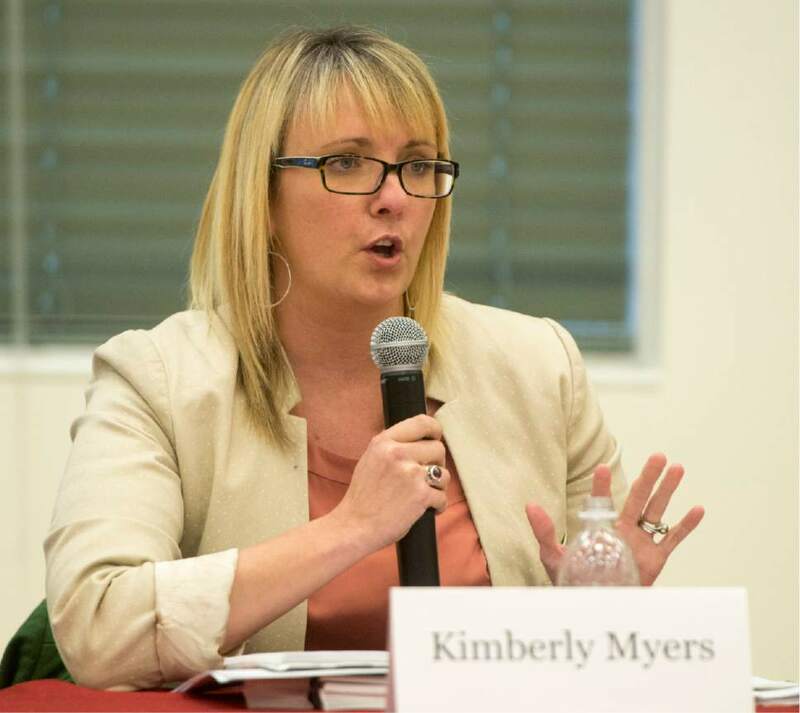 Rick Egan | The Salt Lake Tribune Kimberly Myers. 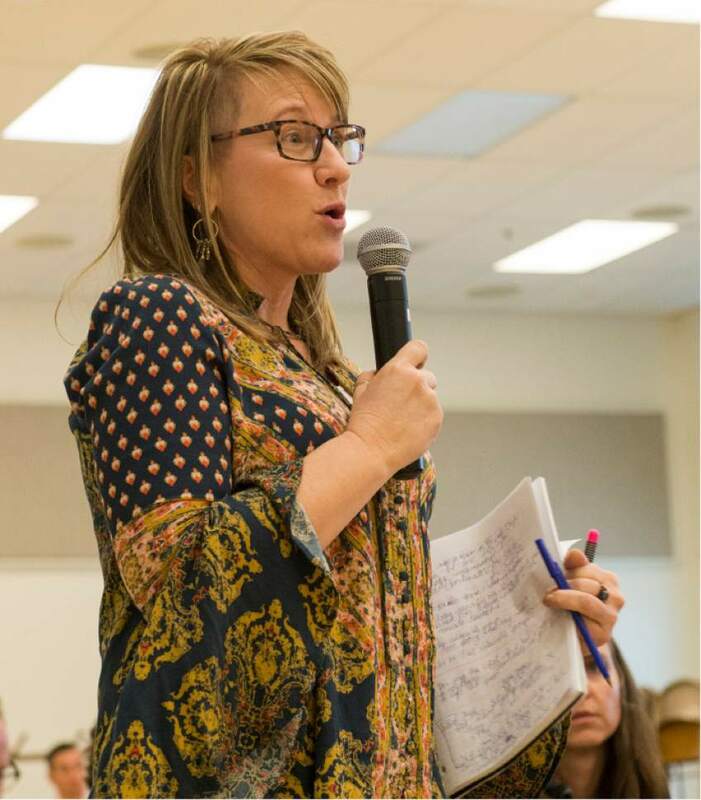 MSW, suicide prevention coordinator, Utah department of Human Services, says a few words, during a panel discussion on the prevention and treatment of teen suicide, at East High, Friday, December 16, 2016. 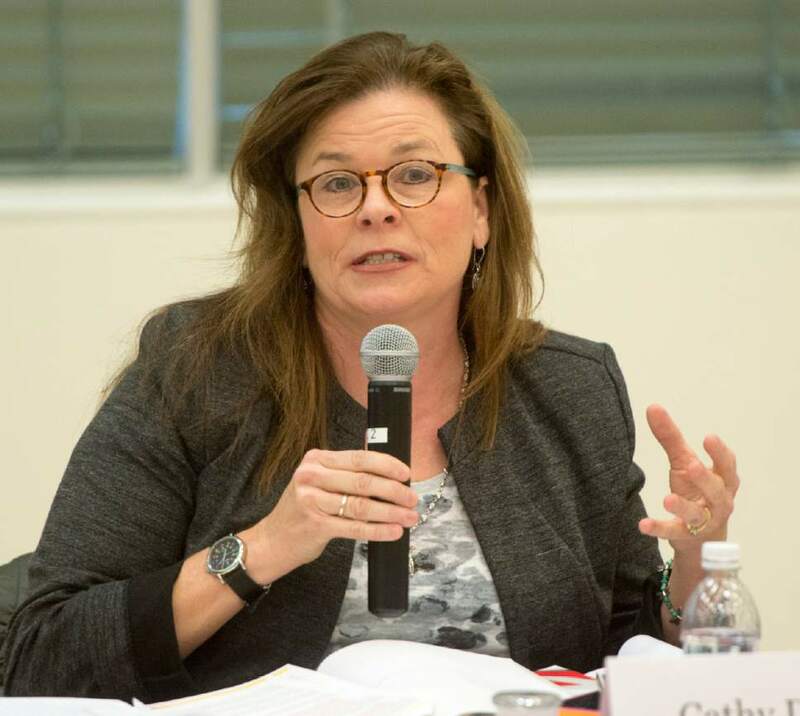 Rick Egan | The Salt Lake Tribune Cathy Davis, suicide prevention coordinator for the state education office, says a few words during a panel discussion on the prevention and treatment of teen suicide at East High on Friday, Dec. 16, 2016. 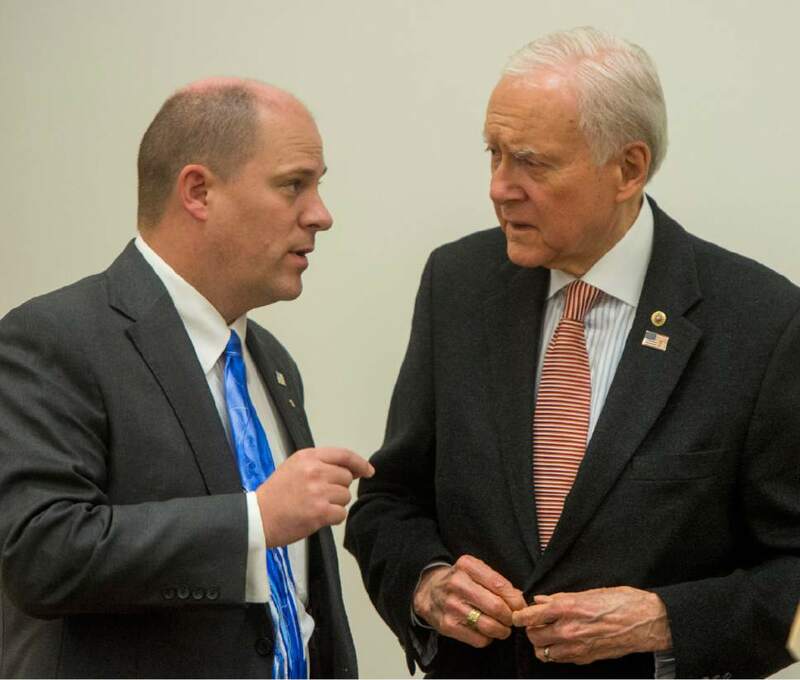 Rick Egan | The Salt Lake Tribune Utah State Rep. Daniel Thatcher visits with Sen. Orrin Hatch during a panel discussion on the prevention and treatment of teen suicide at East High on Friday, Dec. 16, 2016. 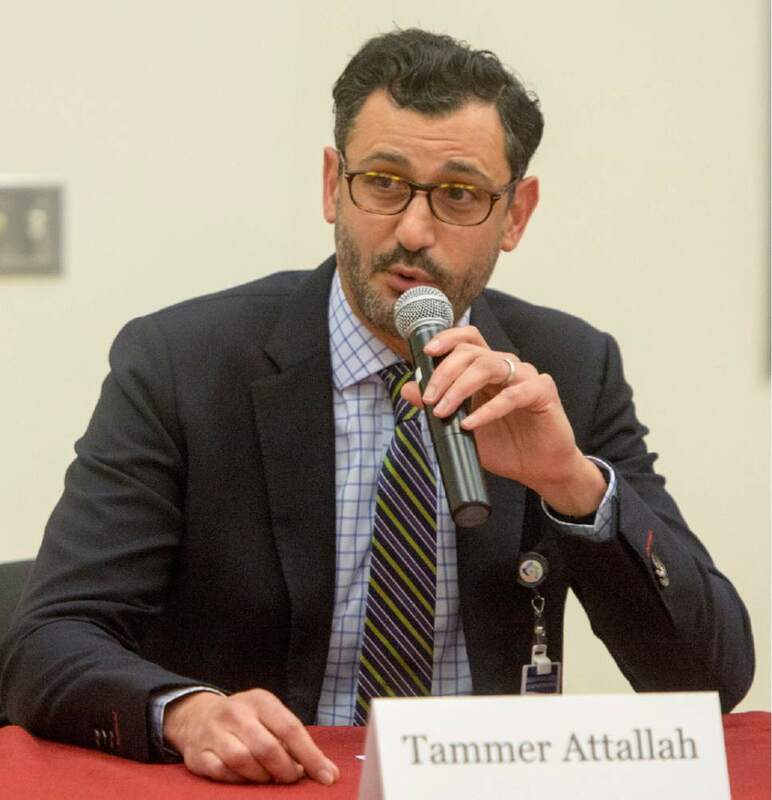 Rick Egan | The Salt Lake Tribune Hammer Attallah says a few words during a panel discussion on the prevention and treatment of teen suicide at East High on Friday, Dec. 16, 2016. 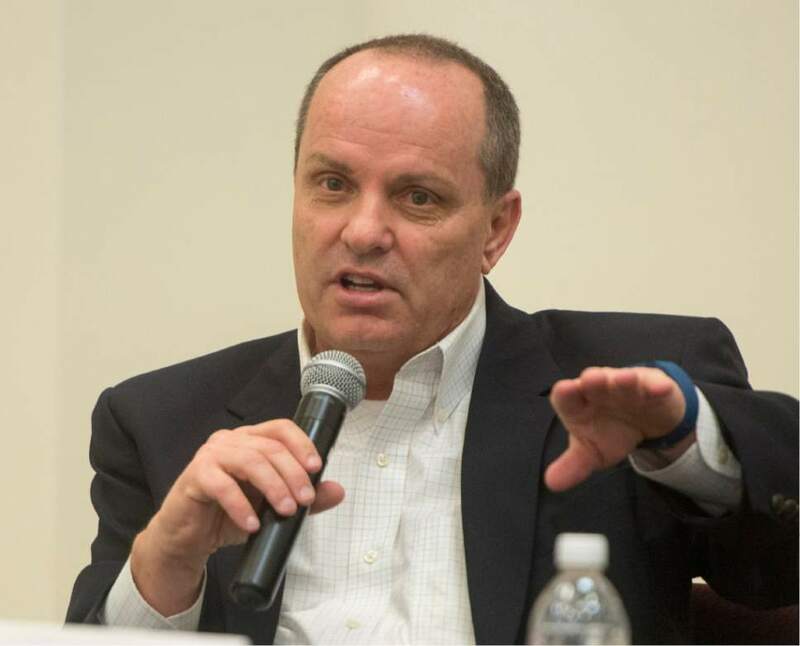 Rick Egan | The Salt Lake Tribune Dr. Gregory Hudnell, founder of Hope4Utah, makes a comment during a panel discussion on the prevention and treatment of teen suicide at East High on Friday, Dec. 16, 2016. 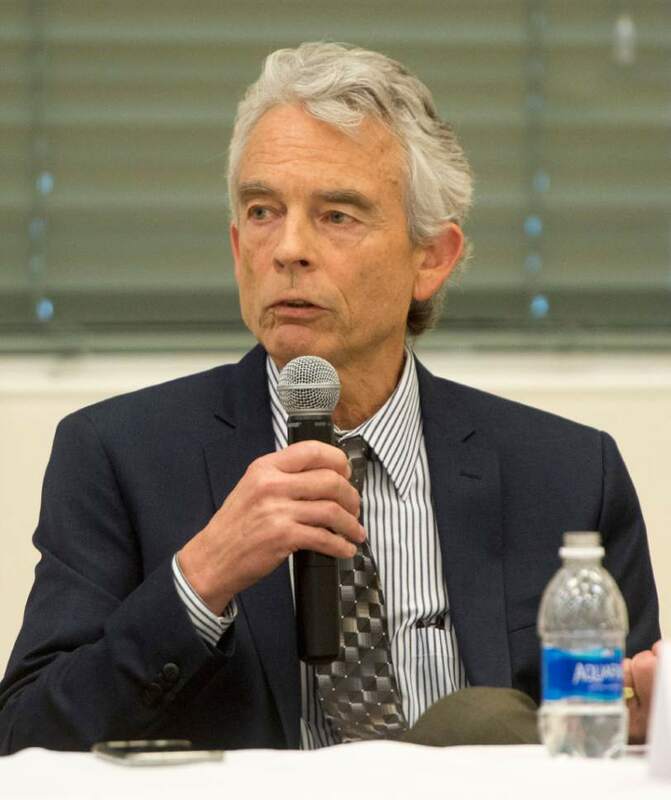 Rick Egan | The Salt Lake Tribune Kimball Gardner makes a comment during a panel discussion on the prevention and treatment of teen suicide at East High on Friday, Dec. 16, 2016. Rick Egan | The Salt Lake Tribune Sen. Orrin Hatch says a few words during a panel discussion on the prevention and treatment of teen suicide at East High on Friday, Dec. 16, 2016. Rick Egan | The Salt Lake Tribune Barry Rose says a few words during a panel discussion on the prevention and treatment of teen suicide at East High on Friday, Dec. 16, 2016. That&apos;s why, he says, it&apos;s so important to drop the stigma and talk about suicide. 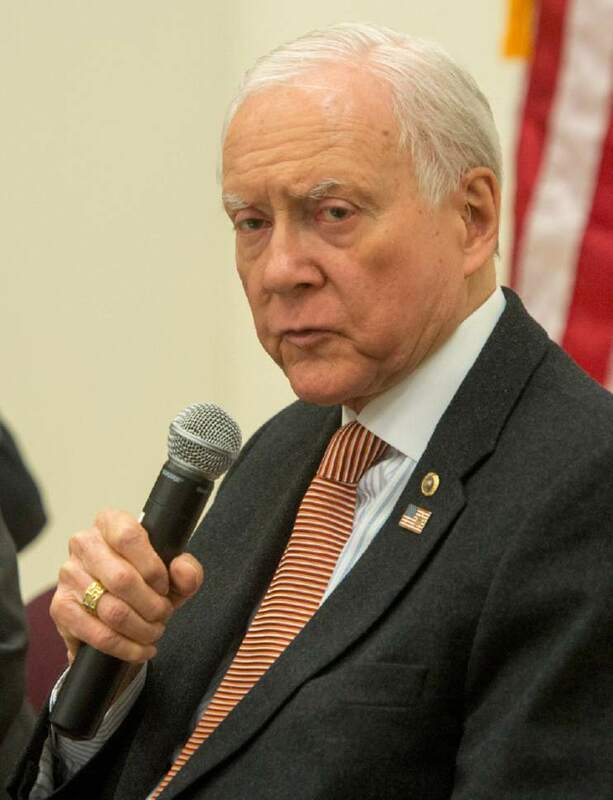 Thatcher was among the panelists speaking Friday at U.S. Sen. Orrin Hatch&apos;s Teen Suicide Prevention Roundtable in Salt Lake City. Laura Warburton&apos;s daughter, Hannah, killed herself in 2014. At the roundtable Friday, Warburton said life skills, such as resilience, need to be addressed in schools to help curb the rate of suicide. The app was launched in January, said Barry Rose, the institute&apos;s manager of crisis services, and has been successful so far. But experts say more is needed. There are 19 different crisis numbers, Thatcher said, and most people don&apos;t know any of them. 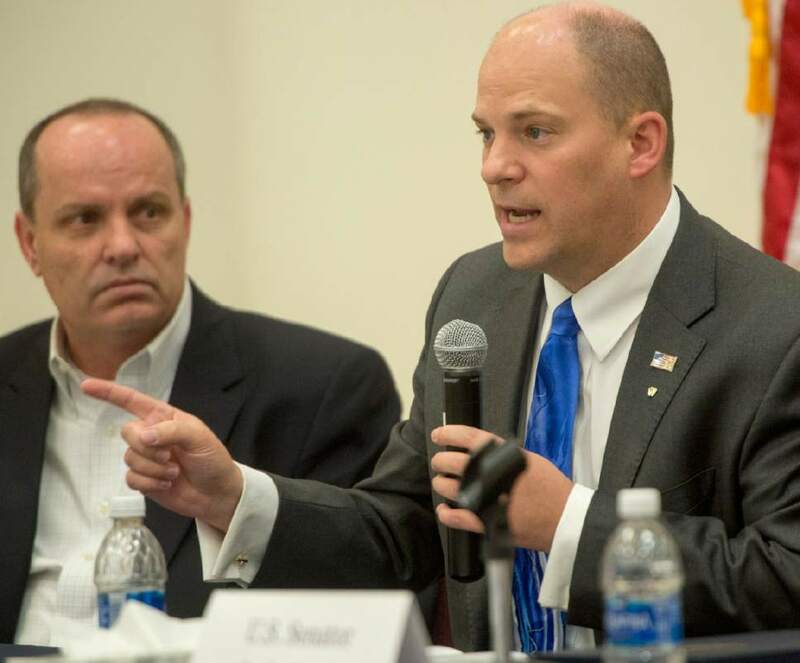 "We need one number statewide that is as easily remembered as 911 so that no one ever again reaches out and has no on the other end of line," Thatcher said. Utahns having suicidal thoughts can get help 24/7 by calling the Statewide Crisis Line at 801-587-3000 or the National Suicide Prevention LifeLine at 1-800-273-TALK. They also can get help at suicidepreventionlifeline.org.